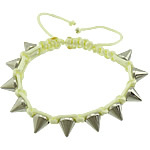 - There are various of acrylic woven ball bracelet in shining design and unique style at Gets.com. Sparkling acrylic woven ball bracelet is the fashion and popular bracelet in daily life and it is also a great gift for give. More acrylic woven ball bracelet will be expand and I am sure you can find one you like at here. Available in package and wholesale.